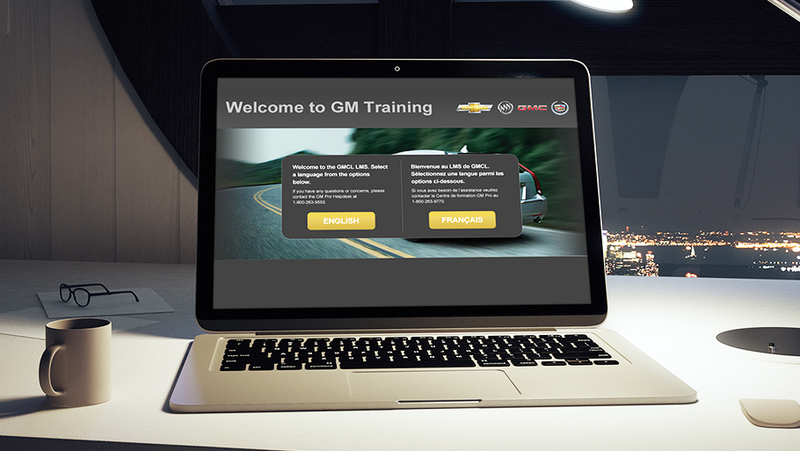 Media Genesis completely re-engineered the user experience of the General Motors Learning Management System (LMS) for Raytheon. Over the course of a few weeks, Media Genesis analyzed traffic patterns and evaluated focus group data. We then produced a user-centric and user-customized platform that is brand sensitive, function sensitive (i.e., sales vs. service vs. dealer principal) and capable of handling language variations. With approximately 100,000 users from varying brands and perspectives, the GM LMS is an important part of the dealer operations. Media Genesis was contracted through Raytheon to revamp the system, and our analysis of user data and sentiment homed in on the key user objectives and barriers of using the system. We focused on each major audience (sales, service, dealer principal and wholesale) to create a design scheme in which the training platform adjusted to the brand, language, function, and user and in doing so achieved great user acceptance. Better yet, the project was launched inside of 100 days, an unusual feat for a system as complicated as this one.